Enchanted Excurse: Hot Beverages Today! Evening Loverlies! 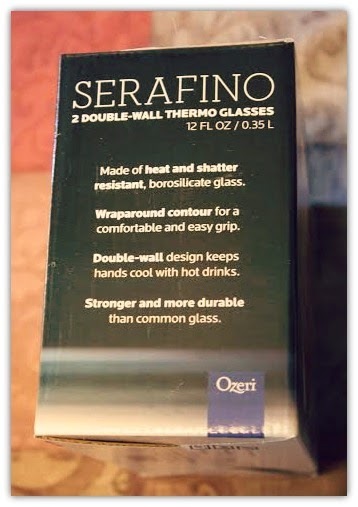 I have recently received the Ozeri Serafino 2 Double-Wall Thermo Glasses to try out. 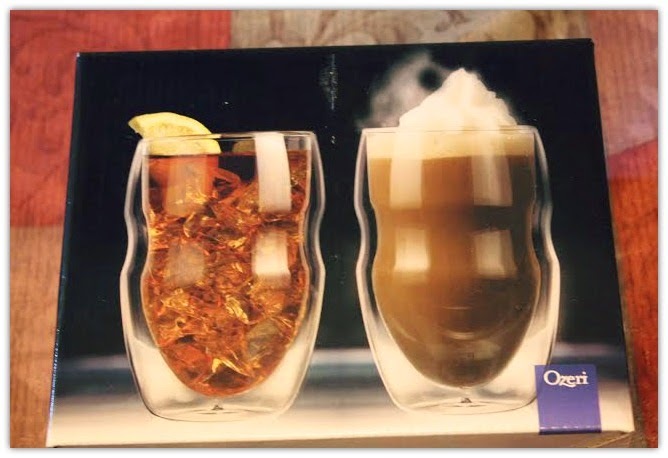 These glasses are 12 Fl Oz/0.35 L and have these neat curvy shape to them. 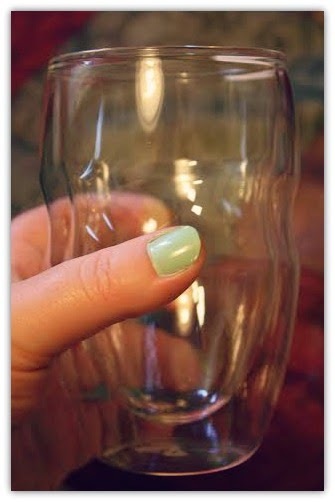 Here are a few things listed on the box about these cute little glasses. 1. Made of heat and shatter resistant, borosilicate glass that is mouth blown. 2. Wraparound contour for a comfortable and easy grip. 3. Double-wall design keeps hands cool with hot drinks, and free from condensation. 4. Stronger and more durable than common glass. 5. Microwave, Freezer, Dishwasher, and Oven safe. I decided to make some hot green tea in this glass, so I filled it up with water and then heated it up in the microwave. Well I'm a ditz and it didn't dawn on me that, oops, this glass isn't futuristic and I gave it high expectations. So of course it was hot when I took it out of he microwave. lol I am ditzy a lot of times, oh well. I figured you were able to do that sense it states it is microwavable. So I decided to take my other glass and pour my hot liquids into it to see how cool it would feel to the touch. I was able to touch it but it was still quite warm. Still it states keeps hands cool, no it keeps them from burning though. Other then that this cup is cute, curvy, and as stated above mouth blown, so each is slightly different. 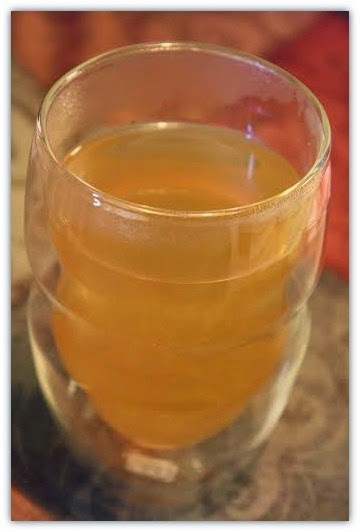 The cup works well to drink with and feels pretty durable for glass. If you would like to purchase these for your own, they are on amazon at this link. They also come in different sizes if you do not want the 12 fl oz I received. Ta Ta For Now!